Holly 2 is rated 3.3 out of 5 by 7. Rated 5 out of 5 by andreadepalma from Great artwork! The Holly people give terrific artwork and a healthy challenge. 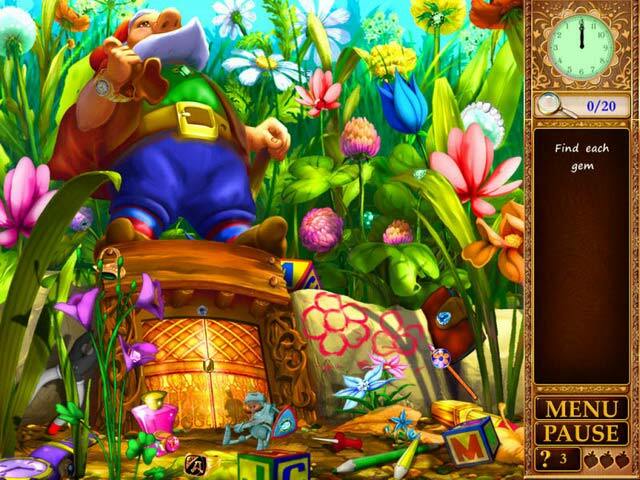 Where other games focus on the most clever way to blend or disguise the hidden objects, Holly's makers have shrunk more of them down and simply hidden them. 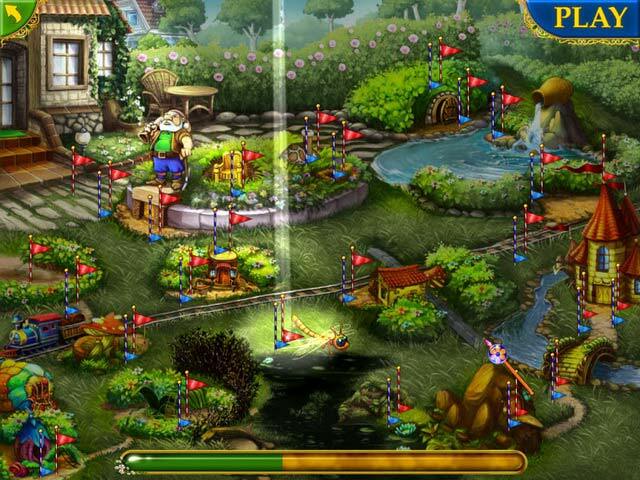 Holly also stands apart with interactive searching by having us find all the worms that glow or flowers that open when the cursor hovers over them.The game is well designed and has some of the best mini-games around. 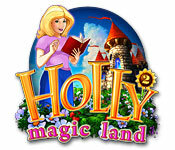 Rated 5 out of 5 by Hollope from Holly 2 It's a fun game, I love the name since my name is Holly. I enjoy games where I don't really have to think, I just play to keep my mind busy. This is that kind of game. I think the colors are wonderful, nice and bright. The items are cute and fun. I am sure my grandchildren will love it. Rated 4 out of 5 by arnold1049 from HARD ENOUGH FOR ADULTS At first glance, this game appears to be directed at the younger crowd. Fairies, elves, magic, etc. And the bright colors and fantasy locations would add to this impression. But when it comes time to play the HOS, they are tough enough for adults. I played the demo and did not get too far into the storyline, but it was kind of cute as were the characters that join the search for Holly's daughter. The mini games weren't that easy, either. One of them was a 7-ring rotating puzzle that had a picture much more complex than many I've seen in adult games. So don't let the look of this game fool you. It is challenging enough for the older crowd with beautiful graphics that lift your spirits. Rated 3 out of 5 by Winklepots from Kinda Fun, Not Very Challenging, SHORT! I liked the first one but this one seemed even simpler and it was also a LOT shorter. By the end of the one hour trial, I had about 15 minutes left to complete the game, if that. I didn't skip the story either and still had 20 hints by the end. Game play is really easy, just searching scenes for various items. The graphics were bright and fun and the sounds/music were fine (though the music gets a little repetitive). This would be fun/challenging for a child who likes HOGs. Overall: Cute but too short. Okay as a DD but save your credits. Rated 2 out of 5 by Houlihan1 from Holly 2 was very boring and tough right from the start. Rated 2 out of 5 by mrm2006 from Where is Holly's Daughter??? Holly goes looking for her daughter because she thinks she's forgotten her (Holly's) birthday. Really??? She then finds a note from her daughter (who has no name) saying she's found a way to go into a fairyland and leaving mom with instructions. I'm sorry, but "mom" didn't seem all that much concerned, even though she did go after her daughter (probably worried someone would call and report her if she didn't). I was not amused. The graphics were absolutely amazing. The colors so bright and the items perfect down to the lines on the stems of grass. The music was cute. No voice overs. Everything had to be read. The storyline also didn't flow very well. In each level, you have to find a variety of items. For instance, one level there might be a list of items to find. In another level, there might be "x" number of a certain item to find. 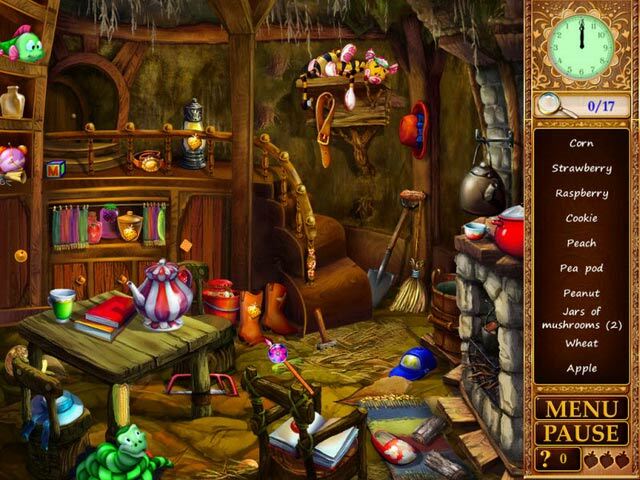 This is, of course, an HOG (hidden object game). It would have been nice to throw in a few mini games to end the monotony of the game play. The items you have to find are often very difficult to see because they are either too small, the same color as the background or too well hidden. I'm all for "hide and seek" but please take into consideration the very young and very old eyes. I also dislike, intensely, any game that gives you a limited number of hints to begin with and then forces you to earn additional hints. I wouldn't purchase any game that does that. Unfortunately, for that reason, and many others stated above, this will not be a purchase for me. Perhaps those with sharper vision than mine will find this game ..... more entertaining.